As an independent conference interpreter specialised in the chemical industry, I often look around to win procurement contracts in different European countries. I live in Portugal, my father is Portuguese and my mother is French so I am a native bilingual. Last year I have won a contract for a large international chemical conference in Lyon. According to French rules, liability insurance is mandatory. No Portuguese insurance company was able to provide it. Nor I was able to buy such insurance in France because I was not established there and my qualifications were not recognised. In the end, the contract was awarded to a French interpretation company at a much higher price without having the specialised language and industry related skills as I do. Interpretation services are very important for our economy, but because of these barriers freelancers can not often provide them across borders which is a misnomer, as languages defy geographical boundaries. I think this is where the EU needs to act. The Single Market already allows goods, capital and people to move more freely. It offers opportunities for small businesses and greater choice and lower prices for consumers. However, many of these opportunities do not materialise in full for professional service providers, because Single Market rules are not known, are not properly enforced or because they are jeopardised by unjustified barriers, which is the case for cross-border public procurement. What freelancers need is a vehicle to make it easier to demonstrate our compliance with requirements in other European countries and operate across borders. In few years from now, our successors will be regretting how Europe “lost” the freelance economy. In the present economic circumstances, where our productivity compared to competitors has been declining for more than ten years, Europe cannot afford to miss this opportunity. Self-employed professionals still face complexity and uncertainty of administrative procedures operating across borders in the EU internal market, which is an underlining factor lowering their productivity. They are hindered by differences and sometimes inconsistencies in the regulation of professions, unnecessary legislative, tax, and insurance barriers to the provision of services in other Member States. There are approximately 5000 regulated professions in Europe. Temporary cross-border service providers are often asked to comply with authorisations and notifications in the country of destination that are not clearly justified, or asked to show compliance with different conditions than those already provided in their home country. As a result, competition remains limited and prices increase. The Service Directive already obliges Member States to provide easy access to information and to make it possible to complete procedures through the points of single contact. Workers seeking recognition under the Professional Qualifications Directive can already use the points of single contact if they are covered by the Service Directive. However, many self-employed professionals who do not belong to regulated professions are not covered by the Service Directive and available information for them remains scarce. There is therefore a need to ensure they have easy access to user-friendly and multilingual documentation and are able to easily complete procedures through the points of single contact (PSC) or relevant other websites, such as the Your Europe portal. In addition, several aspects that are closely related to the provision of cross-border services are not covered by the Service Directive (e.g. posting of workers, tax issues, social security provisions). These aspects should be included in the information provided by the PSC as to offer one-stop-shops with real added value. Member States should notify new national regulations impacting cross-border service provision and clearly justify any additional requirements imposed on all service providers from outside their countries, even those who belong to the non-regulated professions. In the framework of the new Service Passport initiative (a consultation is now open), EU Institutions should create harmonised forms to enable cross-border service providers to give all the information required in one place. This will ensure that all professionals, including non-regulated self-employed professionals, have full certainty on the laws applicable in each Member State in key areas for the cross-border provision of services. It is important the Service Passport is made available at the lowest possible cost and with the least administrative burden for professionals. It should eliminate the need for multiple requests for information, through the creation of a common electronic repository of documents. Drawing on the successful experience acquired for standardisation of products, EU Institutions should issue guidance to introduce cross-border voluntary certification and accreditation schemes for service providers. This will give self-employed professionals, and their clients confidence in cross-border trade in services, while at the same time reduce costs and market fragmentation. Making recognition of qualifications easier and quicker is vital for reducing the lack of skilled workers and labour shortages in certain sectors. This will also increase the mobility of self-employed professionals. 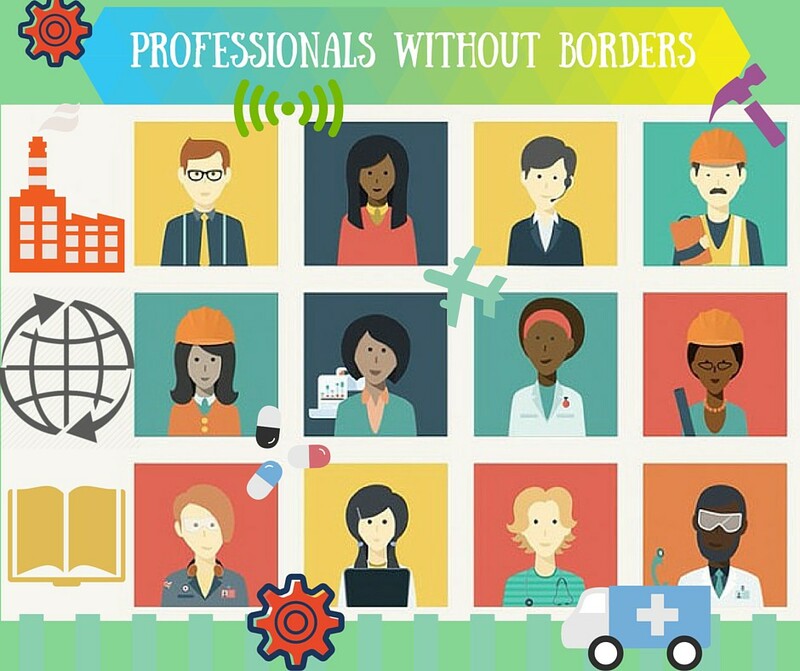 However, the introduction of any legislation on cross-border work in the internal market and professional qualifications recognition should take into account the views of all the professions concerned, including those self-employed professions that are not regulated or that are semi-regulated. New laws should be preceded by public consultations and an assessment of their suitability for the self-employed professions concerned, including their likely impact on them. EU Institutions should set out an analytical framework for Member States to use when reviewing existing professional regulations with the aim to reduce the number of regulated professions and specialisations that fragment labour markets, also through better application of the mutual recognition principle. Professional organisations at European and national level, including those representing self-employed professionals, should be allowed to submit suggestions for common training principles and standards to the Commission. This should be done to facilitate assessing such principles, in compliance with the minimum training requirements laid down in the Professional Qualifications Recognition Directive and with national rules governing access to certain professions. In addition, professional traineeships completed in one Member State should be recognised and taken into account by other Member States when considering a request to access a certain profession. EU Institutions should facilitate cross-border provision of services by nurturing the opportunities created by the collaborative economy and e-commerce. Sharing and collaborative models are increasing efficiency and lowering the costs of doing business for freelancers. They are also allowing them to access and do work around the world, find new clients, improve their skills, fund their business and innovate in new ways. The European Commission has recently issued some guidance to the Member States on how to implement existing EU acquis in this area, e.g. e-commerce directive, service directive and unfair commercial practice directive, while avoiding to stifle innovation. Additionally, the Commission should carefully assess the reasons for different treatment to digital operators in terms of price or conditions in the single market. Support should be given to demand-driven online platforms matching service professionals with clients and VAT thresholds on digital sales should be established with exemptions for the smallest businesses. Marco Torregrossa is Secretary General at the European Forum of Independent Professionals and Managing Director at Euro Freelancers. He is a self-employed professional working cross-border. His tweets are here.